Charger 290 LE 2015, Other Shape Guitar from Reverend belonging to the Charger 290 model. 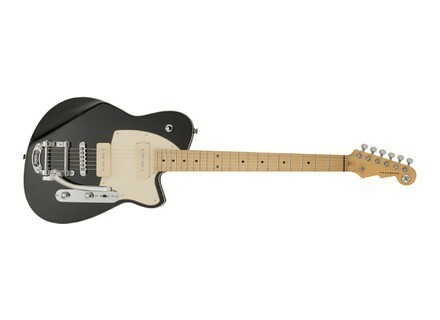 Reverend announces a new limited edition of its Charger 290 electric guitar with three new colors. Following the success of the 2014 edition, Reverend has produced a new limited series of its Charger 290 retro-style guitar with three finishes that were not previously available: Metallic Black, Metallic Copper Fire and Metallic Rose. Another Metallic Blue finish will also be exclusively available at Chicago Music Exchange. The Charger 290 LE 2015 has the same specifications of the previous editions, with a korina body, bolt-on three-piece maple neck with medium oval shape, maple fingerboard with 12” radius, 22 jumbo frets and black Dot inlays, a 25.5” scale length, two Reverend CP90 pickups with cream covers, a Bigsby B50 rolling bridge with tremolo and a cream pickguard. This new Charger 290 LE 2015 is available for 1,099 € / $1,199 and ships with a matching color strap with Rerevend logo. New Strymon DIG Dual Digital Delay pedal Strymon unveils a new effect pedal for guitar featuring two simutaneous delays from the 80s and today. Gibson introduces their Custom 2015 models Gibson has unveiled a new series of signature and reissue guitars for collectors and aficionados for exception instruments. DiMarzio The Black Angel acoustic pickup DiMarzio offers acoustic guitarists a new passive electro-magnetic pickup, The Black Angel, which mounts in the soundhole.